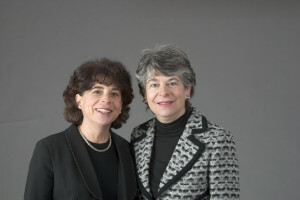 The sister team of Linda Friedman and Peggy Harmatz has consistently been among the top ten producers in this area for over 30 years. Their annual sales volume is over $30 million and 95% of their sales are repeat business – clients appreciate the sisters’ unique blend of professionalism combined with sensitivity to their needs. As a graduate of Stanford Law School and a former practicing attorney, Linda has the knowledge and experience to negotiate the best contract on behalf of buyers or sellers. Peggy, also a Stanford graduate, has an MBA in marketing from Dartmouth, giving her the expertise to design a personalized marketing approach for each seller. Having grown up in Orinda, Linda and Peggy take pride in introducing new families to the communities which they have loved for so many years. Specializing in Lamorinda, Oakland, Piedmont, Alamo, Walnut Creek, they bring their blend of knowledge, attention to detail, and personal attention to every transaction.